Mysterious Reviews, mysteries reviewed by the Hidden Staircase Mystery Books, is publishing a new review of Dark Mirror by Barry Maitland. For our blog readers, we are printing it first here in advance of its publication on our website. Review: DCI David Brock and newly promoted DI Kathy Kolla of the Scotland Yard Serious Crimes Unit are assigned to investigate the death of a graduate student at the London Library in Dark Mirror, the 10th mystery in this series by Barry Maitland. Marion Summers collapsed and died in a reading room. The pathologist attributed the cause to arsenic poisoning. Although her death could have been suicide, it seems highly unlikely: arsenic is now a rare poison and is no longer readily available. And Marion was two months pregnant. Brock and Kolla's investigation is thwarted from the beginning because so little information is forthcoming about the dead woman. She had vacated the apartment at the address she had given months before, leaving no forwarding address. As an undergraduate student, she had given her aunt's name and address in Scotland as a contact. But her aunt knows nothing about her current status, but does give Brock and Kolla the name and address of her mother and step-father in London. They, too, say they know nothing of Marion’s private life. Even Marion's life as a graduate student is something of a mystery. Her professor believed that Marion had assisted an author in obtaining material for her book, by possibly plagiarizing another work, but the author knows little of the source. Kolla takes the lead here and the more she looks into the information they have been given, the less she seems to know. More and more a tangled web is weaved, making this first case that Kolla heads a very complex case indeed. Dark Mirror is a mystery filled with twists and turns. Central to the story is Marion Summers, an intelligent young woman without a close family or public social life, an enigma to those who know her. The solution to her murder lies in understanding the woman herself, and Kolla isn't sure she's up to the task. There's a sense of fallibility here that endears her to the reader. Fans of the series will appreciate how the characters are evolving. 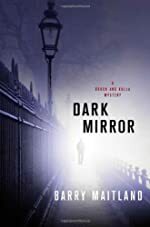 Dark Mirror isn't a fast-paced novel, but one that draws the reader into its nooks and crannies, much like the unusual and rarefied setting of the murder, the London Library. Special thanks to guest reviewer Betty of The Betz Review for contributing her review of Dark Mirror and to St. Martin's Minotaur for providing a copy of the book for this review. If you are interested in purchasing Dark Mirror from Amazon.com, please click the button to the right. Synopsis (from the publisher): Newly promoted to Detective Inspector, Kathy Kolla of the Serious Crimes Unit is called in by the forensic pathologist regarding the recent sudden death of a London student from what he’s determined to be arsenic poisoning. Marion Summers had no reason to be in contact with arsenic and, though once common, arsenic is now very hard to get hold of. The more Kolla investigates, the more she discovers that certain other things about Summers are also unusual. She moved three Octobers ago without leaving a forwarding address or informing her relatives. And her step-father has a disquieting past and, after attacking a constable in a pub, a not-so-savory present. With each turn in the investigation, it becomes increasingly clear that behind what really happened—and why—lies the most difficult-to-crack case the team has ever faced. First Clues: Mysteries for Kids is your source for information on over 100 mystery series for children and young adults where each series is conveniently listed under four different age categories (New Sleuths, ages 4 to 6; Future Sleuths, ages 7 to 9; Sleuths in Training, ages 10 to 12, and Apprentice Sleuths, ages 13 and older), is pleased to announce The Hardy Boys and Nancy Drew series books that are scheduled for release during November, 2009. When a neighbor hires Nancy, Bess, and George to take care of her eighteen-month-old identical twins, the girls are happy to help. After all, the Clue Crew has stopped would-be thieves, uncovered scams, and recovered stolen objects -- how hard can watching a couple of babies be? But being a mother's helper is trickier than they thought, especially when the twins' toys start disappearing. Can the Clue Crew look after the babies and figure out who's taking the toys, or are they in too far over their heads this time? The 23rd book in this series featuring a young Nancy Drew. Nancy Drew and the Clue Crew books are recommended for readers aged 7 to 9. The 19th graphic novel in this series based on the character created by Carolyn Keene. Nancy Drew Graphic Novels are recommended for readers aged 10 and older. The 1st book in the "Killer" trilogy. Mission: To investigate the shady goings-on at the exclusive private boarding school Willis Firth Academy. Location: The mountains of New England. Potential Victims: The brothers of Gamma Theta Theta, the most elite fraternity on campus, seem to be on the receiving end of all of Firth's biggest (and most dangerous) problems. The Hardy Boys books are recommended for readers aged 10 and older. When inner city kids are gifted pilot lessons from a flight school, several of them go up but don't come down! Where did they go? Where did they land? Could they not have landed at all? Joe and Frank take to the skies in this high flying adventure as the undercover brothers seek get to the bottom of this mystery ... even if they have to sail the clouds to get the answers! The 19th graphic novel in this series based on characters created by Franklin W. Dixon. The Hardy Boys Graphic Novels are recommended for readers aged 10 and older. The Hidden Staircase Mystery Books has updated its list of new hardcover mysteries with books scheduled for publication in November 2009. Please note that some titles may publish early (and may already be available) and some may be delayed, published at a later date. Below we're listing those authors with returning series characters, new series characters, and non-series or stand-alone mysteries in separate sections. All titles are available on our November mystery books page. We're also using the "carousel" widget by Amazon.com to display a random selection of titles; refreshing this page will change the selection displayed. For more information on any of these titles, please visit the New Mysteries page on our website. If you're interested in new paperbacks, visit The Mystery Bookshelf where you can discover a library of new mysteries, also updated with November 2009 releases. Mysteries on TV, your source for the most complete selection of detective, amateur sleuth, private investigator, and suspense television mystery series now available or coming soon to DVD, is profiling three series that have season DVDs being released this week. 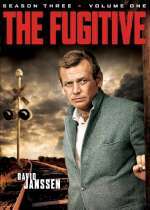 The Fugitive begins its penultimate season with Dr. Richard Kimble (David Janssen) still on the run after being falsely convicted of murdering his wife. The night before his execution, he escapes. The only chance to prove his innocence is to find the man who killed his wife. Kimble, persecuted by Lt. Philip Gerard (Barry Morse), risks his life several times when he shows his identity to help other people out of trouble (most notably during the season, Lt. Gerard's wife Marie). The series, which aired for four seasons on ABC from 1963 through 1967, was the basis for the popular 1993 theatrical film (The Fugitive; also The Fugitive Blu-ray) starring Harrison Ford as Kimble and, later, an update of the series in 2000 starring Timothy Daly. The Fugitive: Season Three (V1) DVD set of 4 discs contain the first 15 episodes of the third season that aired during the fall of 1965. Mannix returns for a third season of nonstop action. This critically acclaimed series starred Mike Connors as Joe Mannix, the tough-talking private detective who brawls with the bad guys, shakes it off with a cocktail, then solves the crime every time. Early in the series, Mannix worked for a high-tech firm before setting up shop at 17 Paseo Verde as an independent private investigator, aided by his loyal secretary, Peggy Fair (Gail Fisher), a young widow and mother whose policeman husband died in the line of duty. Mannix was created by Richard Levinson and William Link, the creative force behind Columbo, Murder, She Wrote, and other popular television crime dramas. 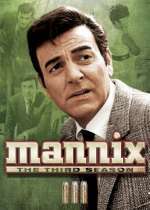 The Mannix: Season Three DVD set of 6 discs contain the 25 episodes that aired on CBS from September 1969 through March 1970. Trial & Retribution is a long-running British detective series that follows cases from the crime to the courts. Brusque Detective Chief Superintendent Michael Walker (David Hayman) collars London’s killers, and viewers are left to decide if justice was served. The series was created by Lynda La Plante (Prime Suspect). 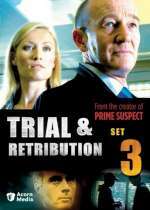 The Trial & Retribution: Set Three DVD set of 3 discs contain three 2-part episodes of the series: "The Lovers" (original air dates November 2005), "Sins of the Father" (January 2007), and "Closure" (also January 2007). Mysterious Reviews, mysteries reviewed by the Hidden Staircase Mystery Books, is publishing a new review of Heaven's Keep by William Kent Krueger. For our blog readers, we are printing it first here in advance of its publication on our website. Review: Cork O'Connor faces a personal tragedy when the plane on which his wife is traveling is lost over the Rockies in Heaven's Keep, the ninth mystery in this series by William Kent Krueger. Jo O'Connor is on a charter flight to Seattle to attend the National Conference of American Indians when the plane disappears during a snowstorm over Wyoming. Cork and his son Stephen fly to the region to assist in the search and recovery efforts but after six days, Cork is forced to admit she may be dead. "Come on, Stephen," he says, "It's time to go home." Several months later, however, the wife of the pilot of the charter flight and her attorney contact Cork with evidence that he may not have been flying the plane. But if not him, then who? Cork reluctantly agrees to investigate, returning to Wyoming where he finds himself in the middle of a political snowstorm involving Indian affairs, mineral rights, casinos on reservations, and the tantalizing possibility that his wife may still be alive. Heaven's Keep takes about 130 pages to get started, but when it does, the story is captivating. The first part relates Cork's search for Jo, and while heartbreaking in parts, it runs on far too long. True, it provides a foundation for the second part of the book, introducing characters and locations, but it could have been tightened considerably. Once Cork gets into investigative mode, however, the drama and suspense increase markedly. Consider this passage just before Cork returns to Wyoming: "In the woods on either side, the darkness was intense. But he knew those woods and knew what there was in them to fear, and passing through empty-handed was no concern. The darkness ahead, however, all that lurked within it and that was unknown to him, this was something else. And he was afraid." The plot takes a few welcome twists along the way, Cork is in fine form following the often confusing, sometimes inexplicable clues presented to him, and the book concludes in a poignant, but satisfying manner. Slow start notwithstanding, Heaven's Keep is a solid thriller and one worth reading. Special thanks to Authors on the Web for providing a copy of Heaven's Keep for this review. If you are interested in purchasing Heaven's Keep from Amazon.com, please click the button to the right. Heaven's Keep (Kindle edition) is also available. Learn more about the Kindle, Amazon's Wireless Reading Device. Synopsis (from the publisher): When a charter plane carrying Cork O'Connor's wife, Jo, goes missing in a snowstorm over the Wyoming Rockies, Cork must accept the terrible truth that his wife is gone forever. But is she? 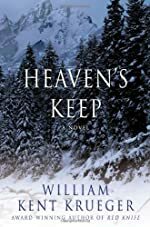 In Heaven's Keep, celebrated author William Kent Krueger puts his intrepid hero through the most harrowing mission of his life. Months after the tragedy, two women show up on Cork's doorstep with evidence that the pilot of Jo's plane was not the man he claimed to be. It may not be definitive proof, but it's a ray of light in the darkness surrounding Cork's loss. Agreeing to investigate, he travels to Wyoming, where he battles the interference of local law enforcement who may be on the take, the open hostility of the Northern Arapaho, who have much to lose if the truth is known, and the continuing attempts on his life by assassins who shadow his every move. At the center of all the danger and deception lies the possibility that Jo's disappearance was not the end of her, that somewhere along the labyrinthine path of his search, maybe even in the broad shadow of Heaven's Keep itself, Cork will find her alive and waiting for him. 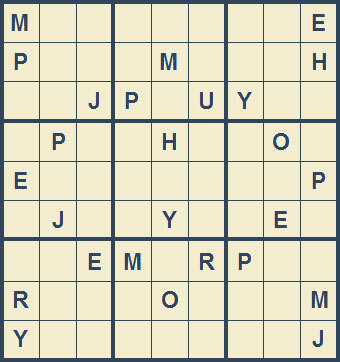 First Clues: Mysteries for Kids, your source for information on over 100 mystery series for children and young adults where each series is conveniently listed under four different age categories (New Sleuths, ages 4 to 6; Future Sleuths, ages 7 to 9; Sleuths in Training, ages 10 to 12; and Apprentice Sleuths, ages 13 and older), is pleased to announce a selection of new mystery books (including series books) scheduled for publication during November, 2009. Who’s ruining Rosamond’s books in this 26th mystery of the series? Rosamond has started a book club called Rosamond’s Ready Readers. But she claims there’s an evil page monster on the loose. This monster has ripped and ruined a page of the cookbook Rosamond uses to make treats for the club. Nate the Great and his dog, Sludge, go to the next meeting of the book club ... as undercover detectives. All the members are there. They are reading a book when one of Rosamond’s Ready Readers discovers that a page is missing. Has the evil page monster struck again? The Nate the Great books are recommended for early readers. The 121st book in this series. The Boxcar Children books are recommended for readers aged 7 to 9. Cam and her friend Eric are having fun at a local basketball game. They watch the team’s retiring coach receive a basketball signed by his former players, including the governor. But after the game the ball is gone. Was it stolen? In the 29th book of this bestselling early chapter book series, Cam uses her photographic memory to investigate this hometown mystery. The Cam Jansen mystery series is recommended for readers aged 7 to 9. The Coliseum Con by "Geronimo Stilton"
The 3rd graphic novel in this series. The Geronimo Stilton Graphic Novels are recommended for readers aged 7 to 9. A hint from their parents’ past puts Amy and Dan on the trail of secrets their grandmother Grace would NEVER have wanted them to know. Awful memories begin to crowd in on Amy, just as her enemies circle closer. How far would she go to protect Dan? How much of a Cahill is she prepared to be? Perhaps Grace was right – some secrets are better left buried. The 6th book in this adventure series. The 39 Clues books are recommended for readers aged 10 to 12. In this third book of the series, Sherlock Holmes's trusted assistants, a band of loyal street urchins called the Baker Street Irregulars, are back for their most puzzling mystery yet, in a case that involves murder, abduction, and the hunt for a lost treasure. As Holmes and the BSI begin their investigations into a gruesome murder, all at once the detectives find themselves in danger. When a personal associate of the master detective disappears, Ozzie, Wiggins, and the gang know that they must uncover the truth -- and quickly! Yet there is deception within their ranks. Who is a friend? Who is a traitor? Who can they trust? The Sherlock Holmes and BSI mysteries are recommended for readers aged 10 to 12. Tim Malt, his parents, his dog Grk, and his friends Natascha and Max Raffifi have just arrived in India. They are all set to see the famous sights and watch Max compete in a tennis tournament. But after meeting a boy named Krishnan, they learn about the Blue Rat Gang, a group that enslaves children. Krishnan needs help to rescue his sister from a cruel life of forced labor, and Tim and Grk are up to the challenge. Racing against time, Tim and Grk are chased through dark alleys only to find themselves face-to-face with the infamous leader inside the Blue Rats’ headquarters. Can they foil his evil plans before it’s too late? The 4th book in this mystery adventure series. The Grk books are recommended for readers aged 10 to 12. Paris, 1522. Valdo, an ambitious young apprentice working for Leonardo Da Vinci's disciple, Francesco Melzi, is least happy when the scholar suddenly dismisses him. However, shortly afterwards, he receives a letter from a mysterious patron, asking him to locate one of the great master's missing codices. To gain access to Da Vinci's last residence, the Manoir du Cloux near Ambroise, Valdo tells its new inhabitant, a courtesan by the name of Babou de la Bourdaisiere, that he is Francesco Melzi's apprentice and that he wishes to examine the inventions that still remain on the estate. Under this cover, he starts to scour the estate: Babou's bedroom, Leonardo's workshop, the grounds, and dovecot, leaving no stone unturned. In the course of his investigations, he encounters a wide array of intriguing characters: Saturnin, a suspicious looking guardian, as well as the King of France himself. To complete his mission, he has to solve a series of enigmas set by the great master himself if Da Vinci's inventions are to function again. On the trail of the genius, Valdo is no more aware of the secrets he is about to unveil as the danger lurking in store for him. Also available: The Secrets of Da Vinci Game Walkthrough. 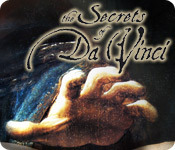 The Secrets of Da Vinci may be downloaded and purchased for $6.99 with a Big Fish Game Club membership. Due to its large size (1.14 GB), a demonstration version is not available. 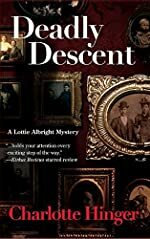 Mysterious Reviews, mysteries reviewed by the Hidden Staircase Mystery Books, is publishing a new review of Deadly Descent by Charlotte Hinger. For our blog readers, we are printing it first here in advance of its publication on our website. Review: Charlotte Hinger introduces Lottie Albright, a woman quite satisfied with her life, a marriage to a widower with grown children and a new career as a historian, in Deadly Descent. Western Kansas is seen to many as simply the Great American Desert, but Lottie is out to change that. There are enough unwritten stories in the area to keep Lottie publishing forever and a day. Her twin sister, Josie, a psychologist, thinks she's on the wrong path in her life. "It is the land that is flat," she says, "not my life." In the beginning she's accused by the town board members of being an outsider and stirring up trouble, digging up useless stories for her project. But all Lottie wants is the true story of the families that have lived in the area for years. Zelda St. John has written the history of her family and given it to Lottie for the historical society archives. When Zelda's sister Fiona learns of this, she insists the manuscript be returned. Zelda has written nothing but lies, Fiona asserts. Lottie explains the document is now property of the society, and she cannot give it to her. Fiona is concerned that if the information -- lies, she believes -- becomes public knowledge, her son Brian will not be elected senator of the state, his political career destroyed. Lottie allows Fiona to read the document, but not to keep it. Later that night, while celebrating her seventh wedding anniversary, Lottie is called by Sheriff Sam Abbott, who tells her Zelda has been murdered, and Fiona is the prime suspect. Lottie thinks she can help, and to demonstrate that she can, she takes on a 40-year-old cold case of a pregnant woman who was killed, her unborn child cut from her womb. The woman's husband was arrested and found guilty, but had a stroke and was institutionalized, unable to communicate. In a strange twist of historical fate, Lottie discovers this cold case is linked to the murder of Zelda St. John ... and also poses a threat to Lottie herself. Deadly Descent is a winning debut. Readers who have lived in small towns, especially those in remote areas, will identify with many of the characters that populate this novel. The mystery plot is well developed and unfolds in such a way one is never quite sure what will happen next. Combining historical research and modern investigative techniques, Deadly Descent is a terrific start to a most promising series. Special thanks to guest reviewer Betty of The Betz Review for contributing her review of Deadly Descent and to Poisoned Pen Press for providing an ARC of the book for this review. If you are interested in purchasing Deadly Descent from Amazon.com, please click the button to the right. Synopsis (from the publisher): In historian Lottie Albright’s Western Kansas community, false accusations threaten senatorial candidate Brian Hadley’s political career, secrets whispered to her as editor of the county history books spur a personal search for his aunt’s murderer. Ignoring warnings from her twin sister, Josie, that she is in over her head, Lottie dons a badge to have access to information. She delves into a horrifying “cold case” to prove her merits as a deputy and impresses Sheriff Sam Abbot with her ability to combine historical research methods and police procedure. To help her sister, Josie adds her expertise in untangling the web of families bound by a lethal legacy of prideful secrets. Soon Lottie is stalked by a clever killer threatened by the twins’ ability to connect the dots. Blindsided by her protective husband’s disapproval of new job, and aghast at a bizarre attempt to sabotage her academic credentials, Lottie knows her obsession is destroying her marriage and her reputation. The Nine Pound Hammer by John Claude Bemis. Book 1 in The Clockwork Dark. Recommended for readers aged 10 to 12. Reviewed by a 6th grade student who wrote, "Fighting, medicine shows, and pirates all in one book. There is not much that The Nine Pound Hammer can do to get much better." Voices in the Dark by Catherine Banner. Book 2 in the Last Descendants Trilogy. Recommended for readers aged 12 and older. Reviewed by a 6th grade student who wrote, "Voices in the Dark is an action packed book with war, magic, and a family coming together when times get tough." For more book reviews of children and young adult books, visit Book Trends; their reviews will amaze you! A couple of weeks ago we reported that TNT had ordered a pilot based on characters created by mystery writer Tess Gerritsen. Now The Hollywood Reporter is reporting that Angie Harmon (Law & Order, Women's Murder Club) has been signed to star as Boston homicide detective Jane Rizzoli in the series. Her partner, medical examiner Maura Isles, has not yet been cast. The pilot for the series is being written by Janet Tamaro (Bones) and is apparently not based on any specific Tess Gerritsen title. Her most recent book in the series, its seventh, The Keepsake, was published last year. The fifth book in the series, Vanish, won the prestigious Nero Award in 2006. Don't stay past dark in the Ghost Town of Bodie. Tourists have reported seeing the ghost of Evelyn Byers, a little girl who was killed by a pick axe over a hundred years ago. The tombstones of the twelve witnesses are missing and something is definitely up. Pick up the investigation, explore the abandoned town, and solve this hundred year old mystery once and for all. Over 30 locations and 13 haunted houses ... and oh! Did we mention the ghosts? 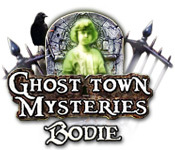 Also available: Ghost Town Mysteries: Bodie Game Walkthrough. Ghost Town Mysteries: Bodie may be downloaded and purchased for $6.99 with a Big Fish Game Club membership. A demonstration version (98.59 MB) may be downloaded and played for free for one hour. We typically don't report on rumors, but this post on CHUD got our attention. 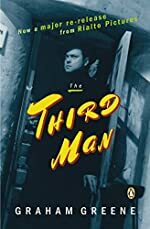 Leonardo DiCaprio and Tobey Maguire may be starring in a remake of the classic 1949 film The Third Man, which starred Orson Welles and Joseph Cotten and was based on a novella by Graham Greene. Here's the studio description of the film from its most recent DVD release: Cynical pulp novelist Holly Martins (Joseph Cotton) arrives in shadowy Vienna to investigate the mysterious death of his old friend, black-market opportunist Harry Lime (Orson Welles), and thus begins an ever-thickening web of love, deception, and murder that adds up to one of cinema’s most immortal treats, as well as one of its trickiest. Thanks to brilliant performances by Joseph Cotten, Alida Valli, and Orson Welles; Anton Karas’s timeless, evocative zither score; Graham Greene’s razor-sharp dialogue; and Robert Krasker’s haunting deep focus shots, off-kilter angles, and dramatic use of light and shadow, The Third Man, directed by the inimitable Carol Reed, only grows in stature as the years pass. CHUD speculates on who plays which part and the setting of the update, but really, nothing is known at this point. Still, it is an intriguing possibility and one we'll keep an eye on. 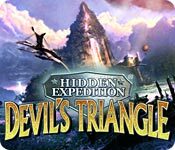 Hidden Expedition: Devil's Triangle: Join the Hidden Expedition Team on an exhilarating journey! The fourth edition of this popular series takes you to another famous locale: The Bermuda Triangle. Follow along as a world renowned explorer and piece together the mysteries of a historically dangerous and largely unchartered area. Discover clues hidden amongst the island’s objects, unlock intriguing new worlds by solving unique puzzles and complete the voyage with your investigative skills. This bizarre journey provides you with a quirky look into one of the most mysterious places on Earth, and lets you uncover the possibilities of the unknown. Also available: Hidden Expedition: Devil's Triangle Strategy Guide and Hidden Expedition: Devil's Island Game Walkthrough. Hidden Expedition: Devil's Triangle, a Big Fish Games exclusive, may be downloaded and purchased for $6.99 with a Big Fish Game Club membership. A demonstration version (123.57 MB) may be downloaded and played for free for one hour; the full version is 319.93 MB. The previous games in the series are Hidden Expedition: Titanic, Hidden Expedition: Everest, and Hidden Expedition: Amazon. The series website is HiddenExpedition.com. A list of the top 15 mystery hardcover bestsellers for the week ending October 23, 2009 has been posted on the Hidden Staircase Mystery Books website. A quiet mid-October week, with no new titles entering the top 15. In fact, even though we don't show them all, we track the top 50 titles of the week and there was just a bit of shuffling of all titles in the top 25. Dan Brown's third Robert Langdon thriller, The Lost Symbol, retains the top spot.